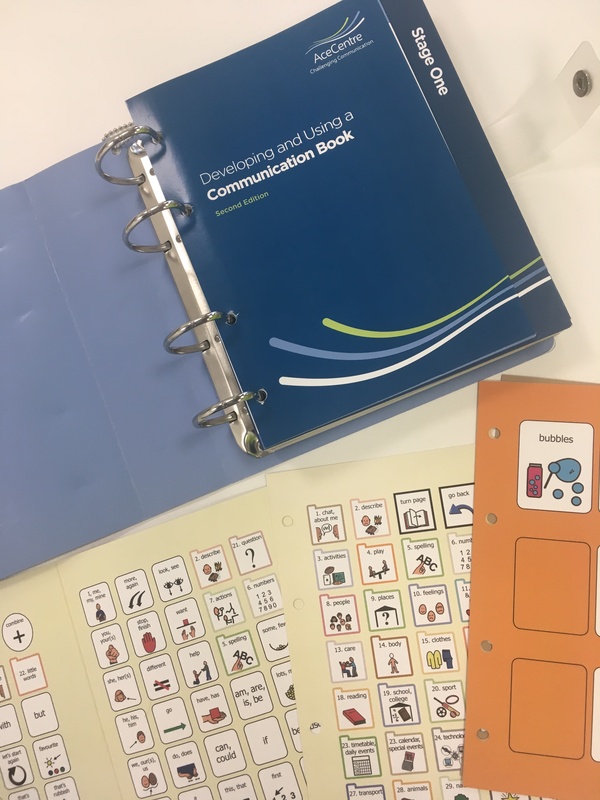 This fully revised and updated illustrated guide describes what’s required to construct and use a communication book with a preliterate individual. This second edition builds on all that was good about the original, much loved guide, incorporating the wealth of experience of the full Ace Centre team. The guide offers clarity for parents, carers and professionals in developing communication books that progressively help people to communicate an increasing number of messages. An updated, stable core vocabulary that is available from every topic page to promote its use. The core vocabulary is developed through five stages and includes a newly simplified Stage One. Ideas for developing a fringe vocabulary that can meet an individual’s interests, needs and varied environments, with plenty of examples included. A continued promotion of the communication of rich ideas through symbols rather than the production of grammatically correct sentences for face-to-face communication. A new approach to organising pages and accessing vocabulary with a suggested menu, tabs and supports for navigating around the book. The importance of a communication partner who is taught, through the guide, to use and model the symbols during communication and to support and scaffold the learner’s own communication attempts. The guide itself with its sample pages is presented in an A5 file, but a learner’s communication book can easily be created at A4 size if this is preferred. 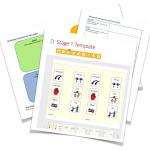 Templates for use with most resource making software are available for download here along with worksheets to assist in generating page and vocabulary ideas.